Enormous number massage chairs been developed to please even the most demanding tastes. Many people find it beneficial and economically sound decision have a massage chair at home to receive health benefits, as an example: a therapeutic relief. Many massage chairs can be bulky and heavy. We can experience some space issue in out homes and it is not always most efficient solution to turn whole living area into a massage zone. For those who are looking for something casual, Human Touch company got you covered. iJoy-2580 Premium massage chair might look like a toy compared to its big brothers on the market. It’s functional and it is small. At the same time, this chair does not have it all, and it doesn’t pretend so. If you’re on the hunt for a stylish massage chair that could blend in your living room as a part any décor, you might want to consider this model. We’ve provided a review to ease your decision. Click here if you want to know which massage chair is the best in the world right now. The most expensive model of the iJoy line, this massage chair is only a small upgrade from its predecessor, iJoy 2310. It comes with a removable padding, wheels, and a cup holder, which gives it a nice touch. Let’s take a moment and see if this massage chair is something to take into consideration when shopping for one. The S-track design follows the natural curve of your spine. IJoy-2580 comes with additional quad rollers, which enables it to mimic the feeling of the human touch massage. For a massage chair in this price range, these two features are very welcoming. They certainly provide a great massage experience, even though it may not look like it at first. The body scan is a quite common feature even in massage chairs of the lower budget, but iJoy-2580 seems to lack the feature for some reason. The body scan is quite beneficial. 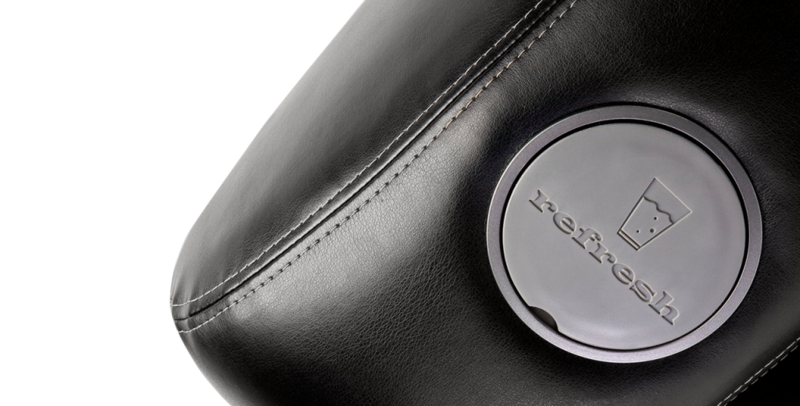 By focusing on your pressure points, the massage chair is able to improve the quality of the massage. Instead of a full body scan, the iJoy massage chair comes with a manual mode instead of an automatic. That means the users can manually adjust the rollers and the desired area of the massage. While this is not the same level as the full body scan, this feature is still a great surprise for the price tag. There are four different massage techniques that the iJoy-2580 offers. They include kneading, compression, percussion, and rolling. A very surprising yet welcome feature is the zone massage. Normally available in the massage chairs of a much higher price range, the iJoy-2580 users will definitely enjoy this advantage. Zone massage allows you to stop the current massage and make the rollers focus on a specific area. This feature definitely enables a more thorough massage that offers an additional relief. The rollers are able to cover the area of 6 inches in diameter. This is an excellent feature that enables you to focus on more sensitive areas of your back. There’s no way to adjust the intensity of the rollers, but the feature itself is definitely a plus, especially for a massage chair in this price range. The iJoy massage chair may not be too heavy; after all, it weighs only 100 pounds, but it comes with installed wheels. This is a practical and helpful feature if you feel the need to move the chair from one place to another. In the previous iJoy 2310 model, the users were able to recline the massage chair by using the Recline-release handle. The 2580 model upgraded the feature and is able to recline 170 degrees by pressing the button on the remote control. One of the chair’s arms has a space for a cup! This massage chair is not really bulky; you can easily set the table next to it and place your cup on the table. This is, after all, a minor feature. You could do without it but having it is another advantage. The Human Touch company claims it has more than 35 years of experience when it comes to massage chairs. They claim they offer only the best in terms of technology, innovation, and design. Another thing Human Touch claims is that their massage chairs are supposedly the only massage chairs officially recognized by the Worlds Federation of Chiropractors. Human Touch provides free shipping to 48 states, apart from Hawaii. The customers have an option to purchase a White Glove delivery for an additional fee. Human Touch iJoy massage chair is manufactured in China. 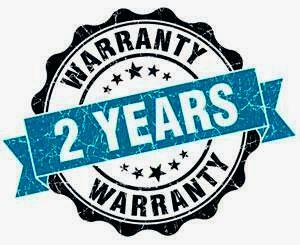 The chair comes with a basic 2-year warranty that’s valid within the United States and Canada. For more information, visit the Human Touch website where they list all the information on all the warranties. The company claims the iJoy line is stylish and can make any room look more attractive. 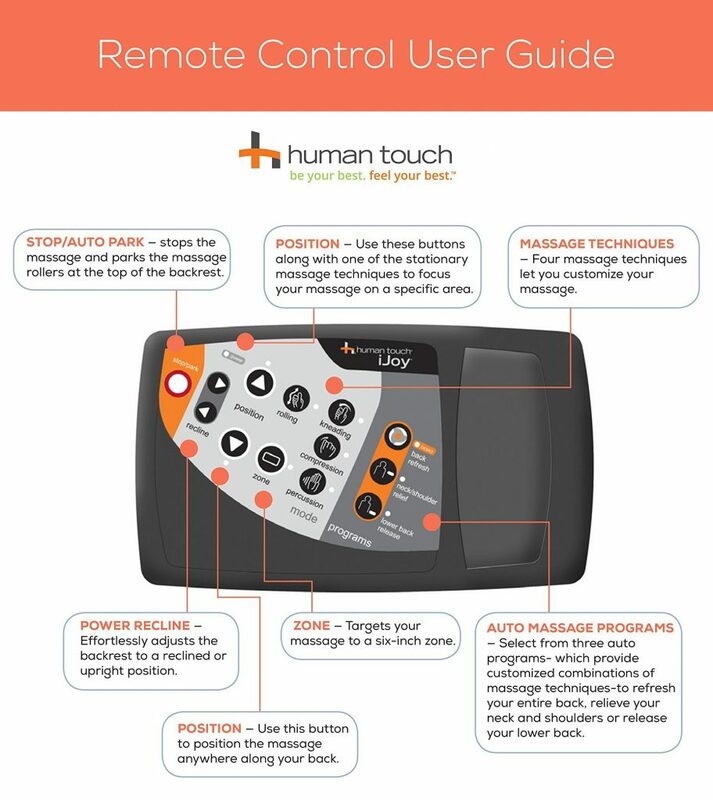 Human Touch iJoy-2580 users can decide for themselves if the chair is really stylish, but in any case, they get their massage chair in a black & espresso color, made with synthetic leather as are all Human Touch massage chairs. 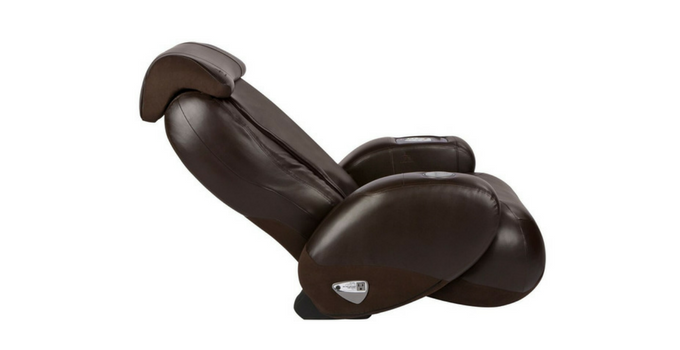 This material may not be the best as many iJoy massage chair reviews online claim the material deteriorates with time, becoming full of cracks. It eventually begins to peel off. The flaking of the material can be especially annoying. The user manual for the iJoy massage chair is available online, but the chair requires no assembly. The chair weighs 100 lbs. and is able to accommodate users up to 200 lbs. and 6’0”. The iJoy massage chair line has been stripped of many features that are taken for granted in even budget massage chairs. The iJoy massage chairs may not be winning any rewards for design; the iJoy-2580 blends in well with your living room furniture. It’s not robust nor bulky which makes it a great choice for your living room and your massage needs. On the other hand, the fact that this massage chair lacks so many features is very surprising. We assume it’s made for those casual users that don’t look for anything too therapeutic in their massage chair but do enjoy an occasional massage. Even so, the users can adjust the intensity massage levels, but it a simple remote control would be a nice welcome. After all, adjusting all the settings manually can be annoying at times. Some might not mind getting up and adjusting the settings. Still, others may consider the iJoy chair not to be rewarding enough with all the extra work necessary. A number of users reported the massage programs on the iJoy-2580 stopped working after a while. They were left with the rollers going up and down their spine, but nothing extra. These cases have been very rare, but we suggest you double check the warranty. Some online reviews even recommend purchasing the extra warranty. Since the iJoy 2580 is only a small upgrade from the iJoy 2310, the price for a few hundred extra dollars just doesn’t seem to be worth it. While it stands a bit higher from the ground that the previous model, the iJoy-2580 is still difficult to get up from after the massage. This is not a massage chair recommended for the elderly as getting up from it can be quite challenging. Overall a good massage chair, this iJoy -2580 is a poor upgrade from the previous model, and it’s not worth the cost. The cup holder is an unnecessary addition, as are the wheels. The iJoy2310 is very similar, but its price is a few hundred dollars less, which mighgt be a better deal. 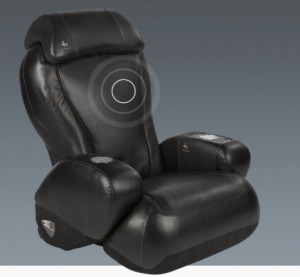 For the top of the line chair from Human Touch check our this review of Novo XT model here.